Aracely Arambula may dress like a princess, but don’t let that tiara fool you! She is a construction magnate who would scare Donald Trump, and to paraphrase my hero Maureen Dowd, La Dona would probably settle the whole MidEast Crisis easily because she views the entire mess as a bad real estate deal. Danna Paola will play the daughter she never had, and never wanted. David Chocarro is the boyfriend both of them want, neither will leave behind, and may possibly try to kill each other over. Rebecca Jones plays a sorceress who reads coffee grounds, which is probably why she hangs around Starbucks so much. According to the writers of the show she is inspired by me! “Karen, La Prosecutor!” Except I’m not compelling or tough, but I am somewhat exotic because I like Thai food and plus I still smoke. Don’t miss the Premiere tonight on Telemundo!! We are having a viewing party and I’ll be live-tweeting during the show… whatever that means. Here is my article (in reverse) about the show for Latin Connection magazine!! Author karenknnPosted on November 29, 2016 Categories UncategorizedLeave a comment on Get Ready America!! O’Henry Would Have Loved Telenovelas! All LaTuti ever wanted was a real family: Life-Sized, not made out of plastic, and with real hair. 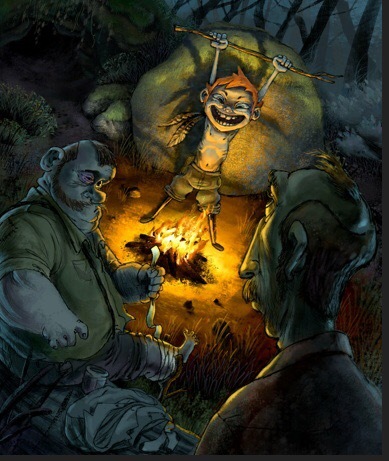 But instead, even though she got her son back in a reverse-kidnapping thanks to the Pied Piper of Chihuahua, Mario Casas, he is not happy and she is thinking of returning him to his abuela, in a “Ransom of Red Chief” scenario. 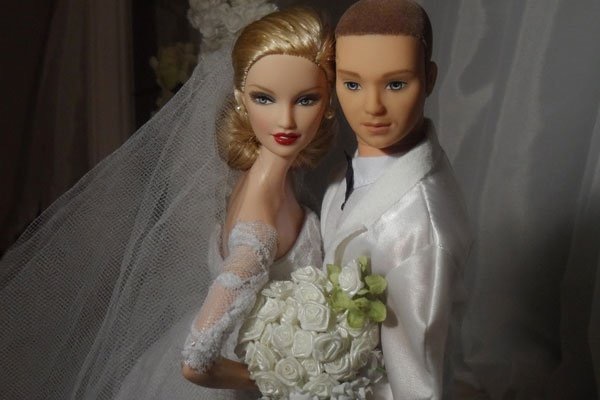 Maybe she had hoped he would be as excited as the new Malibu Barbie as she was! But don’t miss it tomorrow night! And in case you missed it, here is the article about me in today’s Chicago Sun Times!! Author karenknnPosted on November 28, 2016 November 28, 2016 Categories UncategorizedLeave a comment on O’Henry Would Have Loved Telenovelas! I will miss LaDiabla and her daughter Yesi, who were the most unlikely TwinTitans of Evil you’ve ever seen. 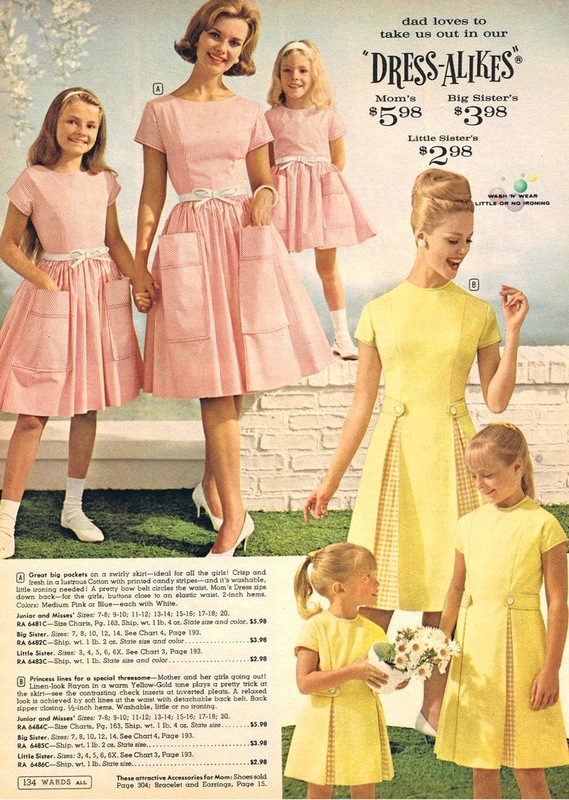 And they kind of dressed alike in a very twisted 1960’s bit! 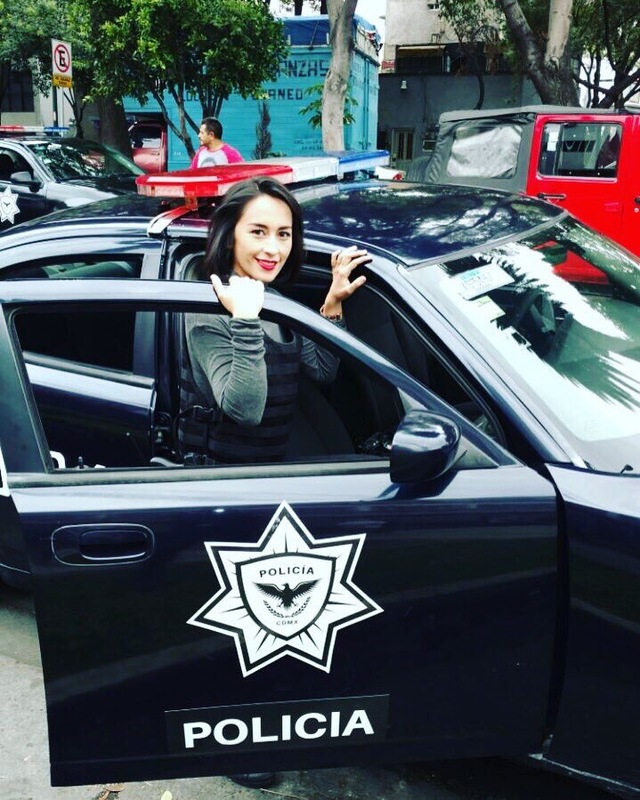 Recently, LaDiabla has been in hiding, dressing up as a police officer, which is a tremendous and happy slap in the face to people who don’t understand Novelas and think that Novelas don’t understand irony. LaDiabla has been so happy getting out of all of those cold-shoulder and cold-breast leather crop-tops that I predict a big theme of tonight’s EXTREMELY GRAND three-hour long Grand Finale is that she will welcome the uniform of prison, as long as she can smoke there. 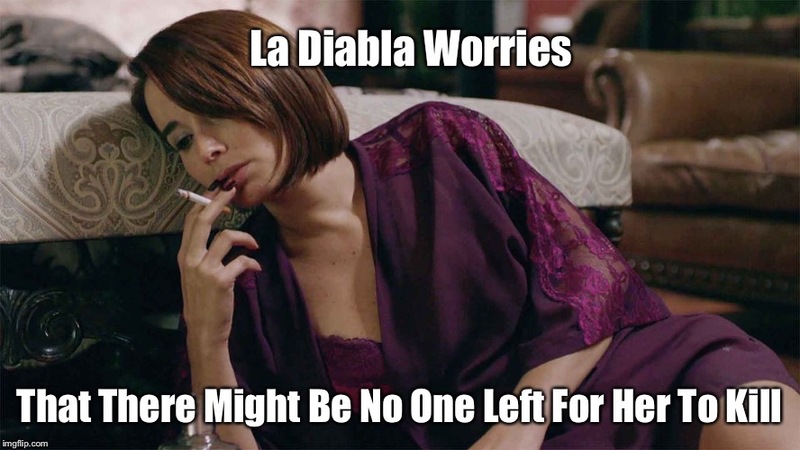 I’ll miss the insanity of this novela very very much! Author karenknnPosted on November 28, 2016 Categories UncategorizedLeave a comment on GET READY!! A Gringa Novelera in Paradise!! Welcome to my blog about learning Spanish from telenovelas!! If I did this right (always a big IF), this should also appear on my Facebook fan page and my Twitter feed! First of all, what a day! In case you missed it the first 16,000 times I posted it, I’m very proud of the article Shia Kapos wrote about my adventures in Novelaville in the Chicago Sun Times!! What a thrill!! Here it is!! And, on the same day, my article about the upcoming Telemundo telenovela “La Dona” was published in the November issue of “Latin Connection” magazine! “La Dona” premieres on this Tuesday, November 29, on Telemundo. Aracely Arambula plays a construction magnate with a lot of scores to settle, so construction is definitely a great business to be in, because the Teamsters are definitely always up for a good revenge plot. And nothing is handier to have than an extra building foundation to hide all of the evidence. 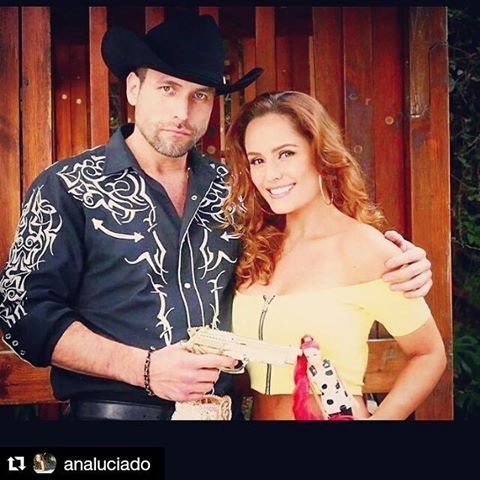 This novela also stars David Chocarro, Danna Paola and The Always Great Rebecca Jones, as the Evil Aunt who is also a witch who can somehow read coffee grounds. 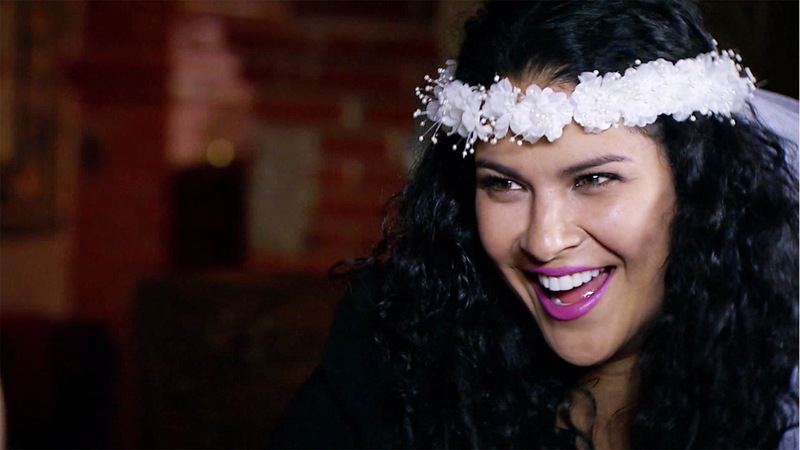 The novela also features Mayra Sierra as “Karen, LaDetective!” A character inspired by ME! Except she is not crazy. Why not?!? Por que No?!? I hope you will join me as I Live-Tweet about this exciting new show Tuesday night, if such a thing is not illegal! 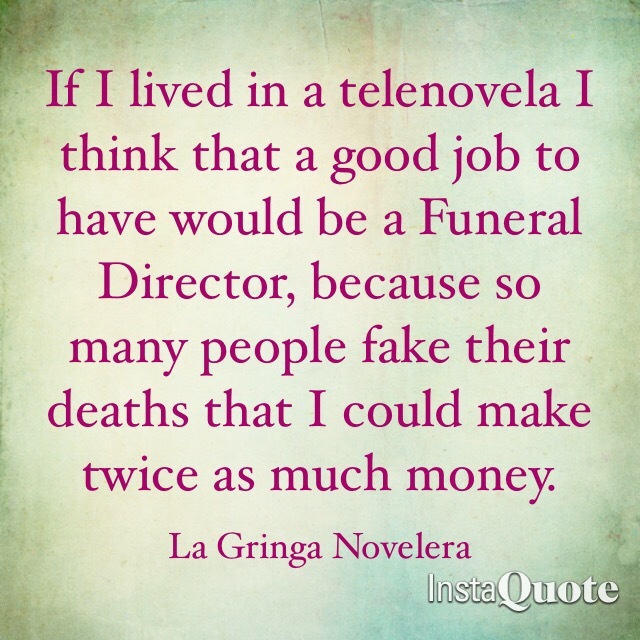 I’m on Twitter and Instagram @gringanovelera and Facebook at LaGringa Novelera! Author karenknnPosted on November 27, 2016 Categories UncategorizedLeave a comment on A Gringa Novelera in Paradise!! This is my first blog post! It was a bit of a struggle getting it right, and I won’t know if it’s right until I try to post this, but I think it might be ready, but it needs a lot of work. Please bear with me!! I decided to try this on a Saturday since there are no novelas on Saturday, so it gives me some tine to get used t this before the VERY GRAND FINALE of #SinSenosSiHayParaiso on Monday, and the EXTREMELY GRAND PREMIERE OF #LADONA on Telemundo!!! Author karenknnPosted on November 26, 2016 November 26, 2016 Categories UncategorizedLeave a comment on Hola!! Estas Listo!! Author karenknnPosted on November 26, 2016 Categories UncategorizedLeave a comment on Hello world!